When boss asks you for the ROI of your latest social media campaign and want a detailed report cointaining social media metrics , how do you respond? Too many social media managers fall back on the easy answers: we gained this many new Twitter followers, this many Retweets, this many Facebook shares, and so on. I usually hear these from CMOs or CEOs who became faded up and come to me eather teach their social media managers or ask for consultation. Though it’s really very good sign for me (I get clients for their mistakes) but I really feel that I should give somthing back to the community as well. Thus, I’m writting this article to help my fellow comunity members who don’t know those social media metrics that really matters for their company or brands. Even Startups or Solopreneurs can use them as well to herness the power of social media in a data driven way. Oh yes! another one thing to say, Just because you and I find value on a Social Network does not imply automatically that a business should be on it. Sure, social media metrics like above, usually replied by (some) Social media managers, offer surface insights into how a campaign or piece of content performed, but they don’t really show executives how your efforts are helping boost the bottom line. It’s time to step things up a bit so that your social media analytics better reflect how all your hard work is paying off. Here’s a list of social media metrics you may already be tracking and how to take them to the next level. If you share original contents on social media, you’re probably already tracking how many people click-through to that content. Click-through rates are important as a metric, since they indicate that your social media messaging is compelling enough to spark interest with your audience. But these clicks become a far more telling metric, at least in terms of ROI, when paired with your bounce rate. Bounce rate refers to the percentage of page visitors who leave your website after only viewing one page. In the case of social media, it’s like someone clicking on a link you post to Twitter or Facebook or any other social media platformsand, arriving on your website or blog, then leaving without viewing any other content you have in there. Ideally, You want people to stay on your sites forever or until they convert (whichever comes first). Well,we all who are in thefield of Digital Marketing Knows, Bounce rate is an important metric to track for our web properties, in general. But, why is bounce rate important when it relates to social media? It allows you to powerfully illustrate your social ROI by comparing it to your other sources of web traffic. Track the bounce rate of website visitors who came from social networks, and compare that rate to website visitors who visited your site directly, arrived from Google, or arrived from any paid advertising campaigns. If your social media bounce rate is lower than those other sources, you can show your boss that you’re targeting the right people on social media, and the traffic you’re driving is more valuable to the business. Now, How to Track this? To track this metric, you need to be set up on Google Analytics or another analytics provider. #1. 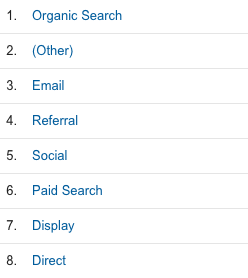 In the case of Google Analytics, you’ll want to go to the “Acquisition” tab, and look under “All Traffic” for the “Channels” segment. Click on the “Bounce Rate” button and it should rank all of the channels from lowest bounce rate to highest. In the example below, you’d be able to show your boss that social media is less effective than search and email, but more effective than search ads, display ads, and direct traffic to your website. That kind of insight should go a long way as you try to prove the value of social media to your business. If search has a bounce rate that’s twice as high as social media, but drives 20 times the traffic, social is still going to look less valuable in comparison. That’s why social media managers need to track more than just the amount of traffic driven, and start tracking the share of traffic driven by social. Doing this, once again, puts social up against other marketing channels like search or display ads, in order to determine the real value for your business. If you have 100,000 website visitors this month, saying social drove 25,000 website visits might not be as powerful as saying that social drove 25 percent of website traffic this month, second only to search and well ahead of any other channel. Tracking share of traffic driven can be done in the same place as your bounce rate. Within Google Analytics, under Acquisition and Channels, click on the “Sessions” field. This will rank all of the channels based on the number of sessions they drive. In the column, beside the actual number, you should also be able to see a small percentage figure. This percentage represents the share of traffic being driven by each channel. Mentions are important because they indicate how much people are actually talking to and about your business on social channels. But this metric becomes a lot more valuable when you use it to show how you stack up against your competitors by tracking your social share of voice. Put, your social share of voice details what percentage of mentions within the industry are about your brand and what percentage are about the competition. # – You’re doing it better than they are. Through this one metric, you can eliminate doubts about whether it’s worth being on social media. Show your boss, just how well your social efforts are being received. Tracked over time, social share of voice can be a powerful illustration of your social campaigns paying off, as you surpass competitors and become a leader in your industry. Calculate all the mentions of your brand, as well as those of your competitors. Add all those mentions value to get the total number of industry mentions. just divide your mentions by the total, and multiply that number by 100. 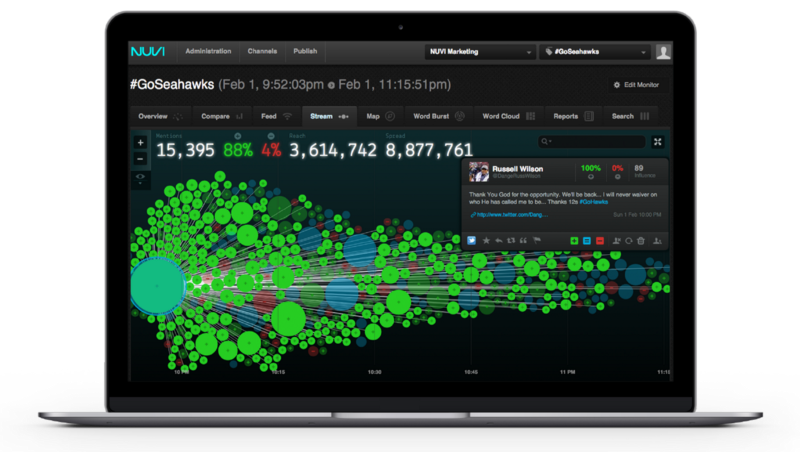 You can use Tools like Hootsuit Analytics to measure this and get more insights accross all social platforms. 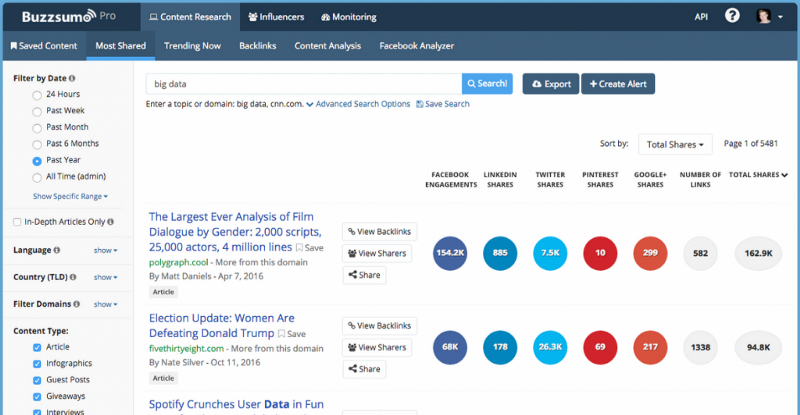 Many social media analytics reports cover how many comments were left on each post you have published. But this is somewhat useless information without any context. Getting an average of 20 comments per post is a lot more impressive if you only have 200 followers, after all. A better way to report on this metric is by calculating your conversation rate, a metric coined by Avinash Kaushik, author and digital marketing evangelist at Google. 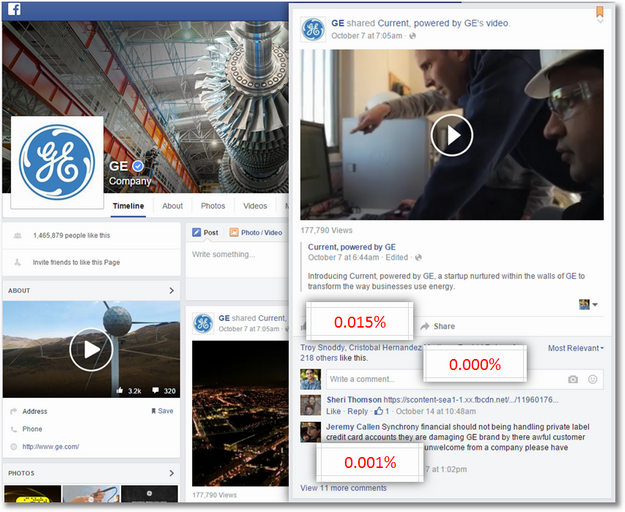 In this little example of General Electrics (GE) has more than a million Page likes on their platform but the engagement is so little thus The CoR (Conversion Rate) is as low as 0.001% [(No. of Comments / no. of Total Followers or Page likes) x 100]. So, here thae questions are What business value, brand or performance, was delivered? You can do this for one of your social networks in particular, or all of them. This helps you determine how much of your audience is compelled to add their voice to the content you post on social. Pull the number of comments you received during your specific reporting period on your specific platform. Divide that number by your total number of followers (or Page Likes). Multiple that number by 100 to get your conversation rate as a percentage. Kaushik offers a similar metric when it comes to tracking shares. Instead of only tracking the number of times your content is shared on social, your amplification rate measures the ratio of shares per post to the number of overall followers (or Page Likes). 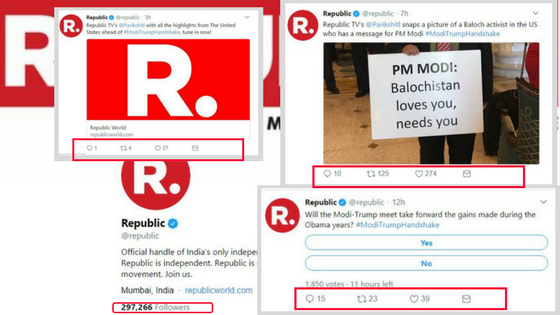 Republic Tv , a very new and well known independent news media brand has gained nearly 300K folowers on tweeter as you can see on the above screenshot. They had gained those followers within 3 Months of active operation. They had managed this much pre-launched hype due to it’s owner and editor-in-chief Arnab Gowsami(#NationWantsToKnow), an influncial news media anchor and debater. See it’s tweets, they are with good copy, consize and to the point. But if you see the AmR (Amplification Rate), it is almost point zero zero something percent on above posts. even the poll. Well, I know it’s very easy to speak or give advice from outside (Social Media Manager of RepublicTv must be saying after reading this article) but we need to remember and practice gets it’s perfection through correcting the mistakes and refining them. In the case of Republic Tv, they are posting their news in a consized way as they even do on their Website, on their TV Shows. So what Unique values users are getting from them than other or even from other competitors. Thus to use the social platform effectively they need to engage with viewers now as a B2C News Platform but as a person providing some kind of values dipped inside their news. Now, comming to the point of AmR (Amplyfication Rate) tracking techniques. So, How to track this? Take the number of times your content was shared (or Retweeted, or repinned, or regrammed—or all of the above). Multiple that number by 100 to get your amplification rate as a percentage. Likes are also valuable social media currency, but not when they’re being reported as a stand-alone metric. Track your applause rate (ApR) instead, the ratio of likes per post to the number of overall followers (or Page Likes) you have. What is Applause Rate (ApR)? Applause Rate (ApR) is the ratio of favorites (or post likes or +1s or hearts etc.) per post to overall Followers (or Page Likes). Do I think the content you’ve posted is interesting, even if I won’t bless it with my stamp and forward it on? Again, this will provide the context needed to make likes more than just a vanity metric. Your applause rate will let you know exactly how much of your audience is finding your content interesting or not. 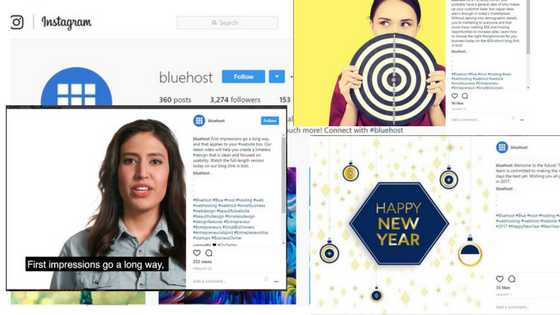 Here is the instagram page of the renowned hosting company, Bluehost. They might had thought that as every B2B Competitors are using Instagram to promote themself they should too. Ok, Thats fair, being a company of that size they afford to think like that. I appreciate it. Now lets take a look at their followers, it’s 3274 (While I’m writting this article) & posts they have updated is 360 (They might have landed late on instagram). After watching their all posts, the average Applauses (Likes or Heart) they have got are nearly 90-100 on each post. So while trying to get the Applause rate its nearly 0.030%. That clearly means the brand is failing to capture the eyes of its’ audiences, thus failing to get the social traction it deserves. Now, getting back to the pattern of this article. Add up the total number of likes your posts received during your reporting period. Divide that number by the overall number of followers (or Page Likes). Multiple that number by 100 to get your applause rate as a percentage. Leads generated by social are one of the most important metrics you can track, since they can be directly connected to revenue. If you’re trying to prove social media’s value to your business, continiously deliver a fresh source of warm leads is a surefire way to turn the right heads. • Using Cmpaign Management Tools to run a contest with a form fill entry. • Hosting social media events that require registration, like broadcasted Google Hangouts or Webnier Jam. • Using social media advertising to target prospects with free demos or free trials or giveaways. You will find more ways according to your brand btter than me. Now yours turn I know. The key to tracking leads is ensuring that the links you share are trackable within your marketing automation or analytics software, be it Google Analytics, Marketo, Salesforce, Hubspot or something else. Remember, every link you share on social media should include a UTM code. This code will follow anyone who clicks that link as they visit your website and become a lead, either right away or later on in their journey. Doing this you will be able to attribute leads to individual social media messages or campaignsand been able to check those with right social media metrics. I’ll reply on this question as, You know and I know too, that enumerating trffic especially Social is important but it’s important for your own applause than the value your company needs as ROI. I use Google Analytics. I know you use too. 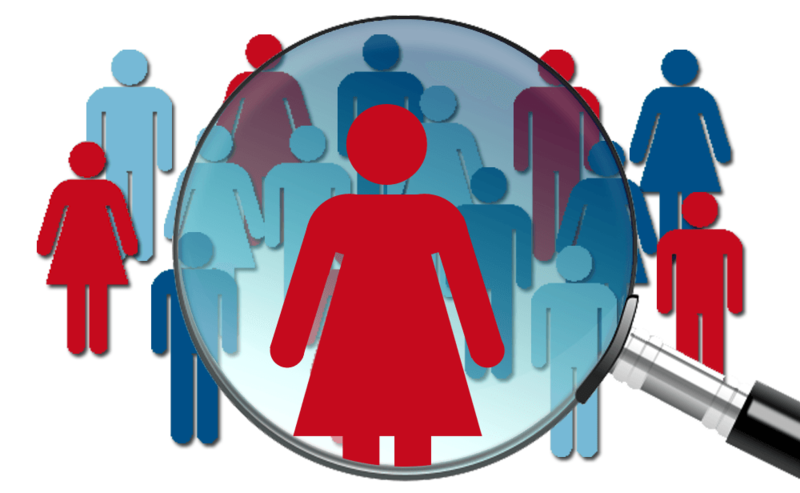 Lets try out this option with how to search social media metrics for tracking leads. you can see that social media drove about 46,000 visits, which accounts for about 4 percent of the traffic. Once you’ve got a conversion goal set up, to view reports, go to Acquisition > Social > Conversions within Google Analytics and ensure you select the conversion goal you’re looking to measure. 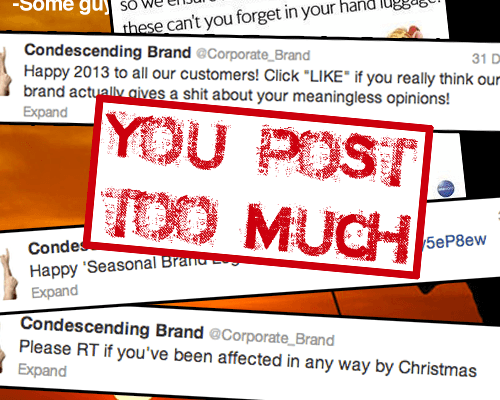 PS: Some believes that impression is somthing that needed to be taken care of while analysing the social media metrics. Just because if someone had not engaged with a post they atleast seen it. But what is point of viewing a post for nearly o.030 second and taking this phenomenon as an impact to social metric. Ok, if you believe on the abovementioned assertion then you should atleast prove them via controlled experiments. Social Networks are still in their infancy. It should be clear by now that chasing them purely because of large audience numbers on these networks is a failing strategy. I hope the specific recommendations in this post will ensure that your valuable marketing dollars are being spent in the most valuable manner possible. There are lots of tools to measure social media metrics but measuering the right one in a well strategic way is what matters for Social Media Managers to make their campaigns successful. Now, the ball is on your quote, Please share which social media metrics you are you are tracking now? 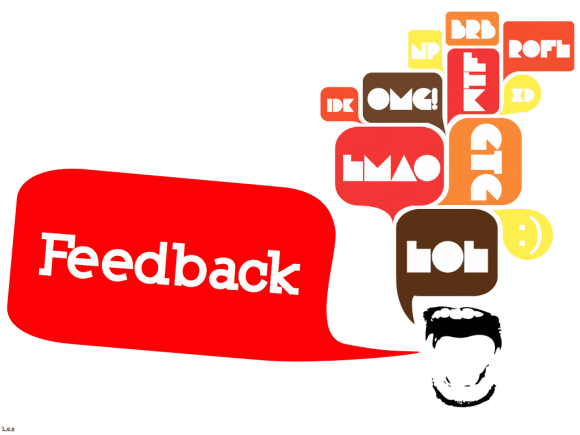 Please share your feedback, critique, stories, pain and success via the comment form below. Thank you. Social media platforms are constantly evolving. Today every brand is a publisher and every consumer is a creator. From publishing videos with Facebook Live to sharing millions of tweets, showcasing thousands of #instapics. Social Media Marketing Trends in 2017 showing no shortage of ways to connect with your customers. This the chance to grab the attention to millions even billions of people. they are waiting to the next customers. 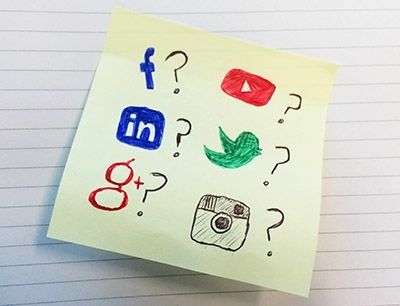 The renowned brands are using Social Media Channels to get more customers, Converting Leads by Identifying new marketing opportunities as frequently as possible. With more than 171.83 million unique monthly visitors, the ecommerce giant “Amazon” using social media channels Twitter, Instagram, Youtube, Facebook, Snapchat so effectively. Here is what Amazon does with the promotion of its premium service called Amazon Prime on it’s facebook page containing 25 Million+ Likes. Amazon Prime 2 Day Free delivery Freemium model postHere is another example of the brand everybody knows “Nike” hernessing the power of Influncer marketing mixing with social video (Squere Video) on Instagram producing the power of “Words-of-Mouth” Promotion for his new and upcoming shoes. Small & medium brands are targeting singular channels one after another. Most of the growing brands are publishing videos, photos, reviews and blogs across various social media channels. 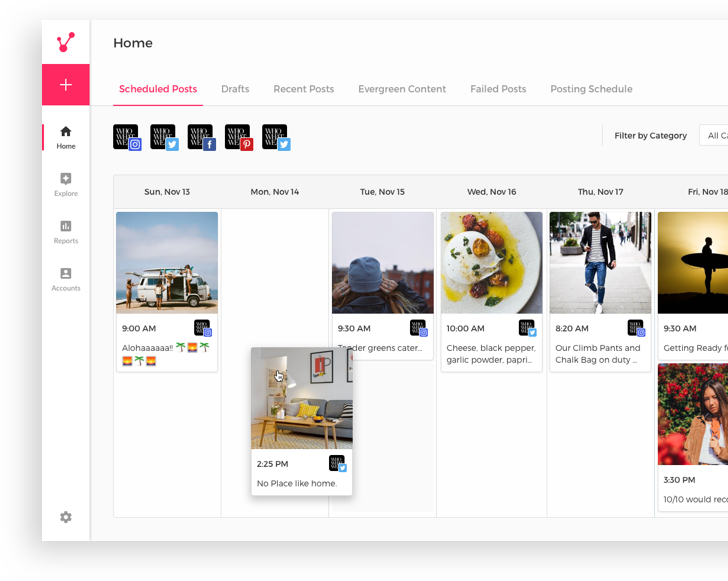 The Office friendly productivity SaaS Tool #Slack is using Twitter & Facebook for It’s Social Voice. They even multiplying their reach through exclusive Podcast shows. Subscribe the Podcast on iTunes. However when every consumers is a publisher, getting relevant content on the top of social newsfeed becomes a challenge. Therefore, you need to focus on emerging Social Media Marketing trends that are bound to affect your social media strategy and campaign performance in the year 2017. If you consider to build a business of startup successfully and grow in a fast pace in 2017, Social Media is the tool-of-choice for you to get the traction you need at this level. In the alter article I’m going to disect the top social media marketing trends all the brands, Large or Small even Tiny should follow in 2017 or beyond. With more than 1.94 billion monthly active users, Facebook is the most popular social network worldwide. Facebook will continue to be the unchallenged king of all social networks. Used by more than 60% of the total internet users, FB will remain at the top of marketers list to drive conversions. Facebook’s appeal is not only based on its social platform but also on its strong mobile integration and its mobile messaging capabilities called Facebook Messenger. With the launch of new features such as Facebook Live and FB Marketplace, online businesses, and Facebook Story will find new ways to advertise their products and services through Facebook. Some said Twitter has lost it’s credibility to grab user’s attention. Ok, Yes! they had been through this problem in US but after capturing the untempered International users it had grown to a highest level. Twitter is providing more control over to users. 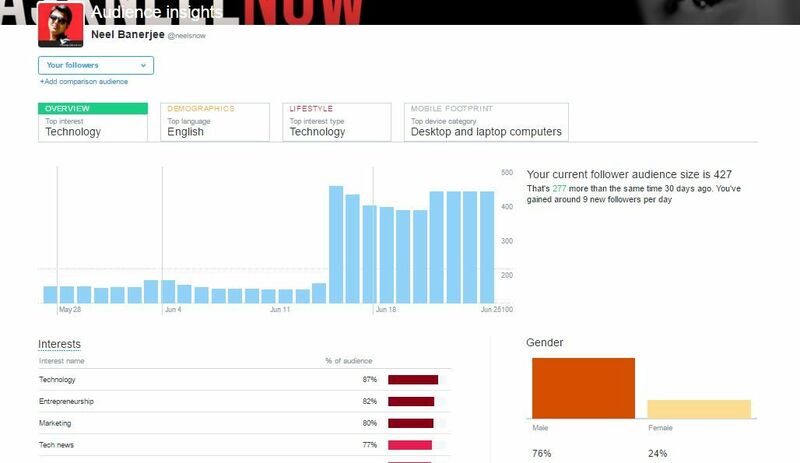 You can use Twitter Analytics to understand the customer data, Traffic and Interests in a broader way. Well, how to setup your twitter analytics? It’s an another time topic to elaborate. Twitter will focus on incorporating real time moments to consumers at large. 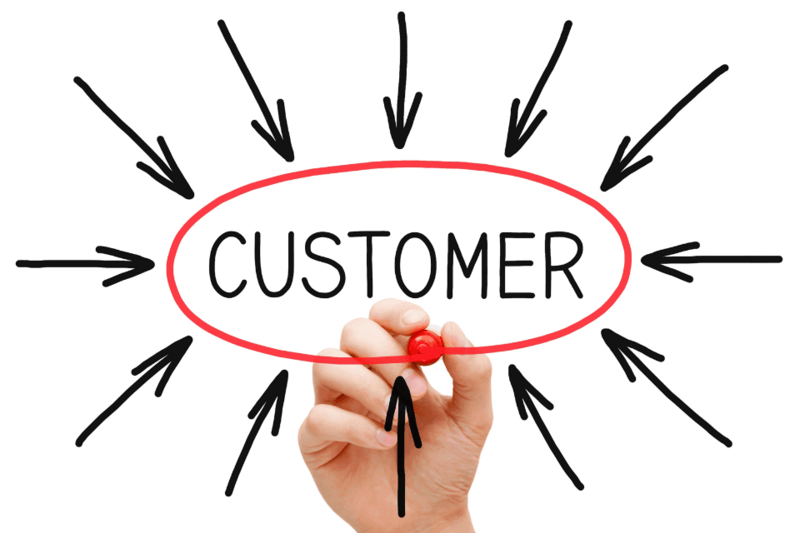 Businesses will continue to use Twitter to quickly service their customer’s queries. The upgradation of mobile technology had given birth of another ground broken social platform, Instagram . This Social platform has changed the face of realtime visual storytelling, and intelligently aquired by Facebook for $1 Billion. With more than 700 Million user, It’s ramping the Social Media stage like a Show Stoper. Thus it has become must-use Mobile first platform for marketers world wide. The features like Insta Stories, Live Videos, and many more, Marketers need to grab the attention of potiential customers with a new form of marketing tactics. Instagram Story Ads has given marketers to battel for paid aquisitions. Its Simple and straight forward. Top Customer Aquisition channels to follow in this 2017 with in 60 Seconds video my me. Please don’t forget to follow me on Instagram. Instagram will be a driving force to accelerate sales and generate leads for online businesses. It works well for creating brand awareness and engaging community of consumers. The rapidly growing demographics and low-cost accessibility to younger audiences that Snapchat provides, brands are joining the Snapchat world to engage with their target audiences. There are some core tacktics marketers can use to promote their products or services in cretive way. See this example how big Brand like Cisco is using Snpchat to engage with their customers. In Cisco’s “Day in the Life of an Account Manager” Snapchat series, it chronicles the workday of an account manager as he or she visits different cities and plans on behalf of Cisco. Using emojis, jokes, and lenses, the star of the Story gives the brand a more human side. Here’s what Gatorade did: When a football team wins a game, it’s customary that the team dumps whatever sports drink is in the team cooler onto their coach’s head. During the Super Bowl football game in 2016, the folks at PepsiCo-owned Gatorade released a genius Super Bowl Snapchat lens that let anyone give themselves a Gatorade bath, too. To create the ad, the folks at Gatorade partnered with Snapchat to purchase a sponsored lens, which costs around $450,000 per sponsored lens on normal days, and up to $750,000 on “peak days” like holidays and the Super Bowl. Then, Gatorade had professional tennis player Serena Williams — whom Gatorade sponsors — star in the ad above. The ad shows her getting virtually “dumped on” by a cooler of orange Gatorade, thanks to the lens. The company tweeted out a GIF of the Snapchat to get the momentum going, and by the end of the day, the sponsored lens had reportedly been viewed over 100 million times. Snapchat will evolve as a content distribution platform which will further engage users. With the acquisition of LinkedIn by Microsoft, we expect LinkedIn to invest in their content platforms. LinkedIn is aggressively marketing its news-feed by inviting businesses to tap into the power of peer-to-peer connections. The marketing tactics are so agressive that it’s CMO (Chief Marketing Officer), Shannon (Stubo) Brayton recognised as one of world’s most influential CMOs of 2017! LickedIn Ad platform is also heaven for B2B Targeted paid marketing using by big brands Like Google, Hubspot etc. Well if you are wise enough then please follow me on LinkedIn and Send me Recomendation on the skills you think I’m fit for. Well as you had followed this article thus far so Now I’d like to share five emerging social media marketing trends that you may see in the year 2017 and beyond. Last years or so social videos stole the show across social media platforms. Next web of evolution is combining the emotional connect of social videos with the scale and reach of social media advertising. Live video platforms such as Facebook Live is filling the news-feed with relevant, targeted and on-demand delivery of content mixed with emotions all across its platform producing Viral Contents relentlessly. Big Facebook player like Buzzfeed with Millions of followers and their videos get viral every time hernesses the power of live video and Social videos like this. Live videos are mostly producing values to customers One point at a time and splunking. There are many ways to effectively use live video to engage with your customers and promote your brand. 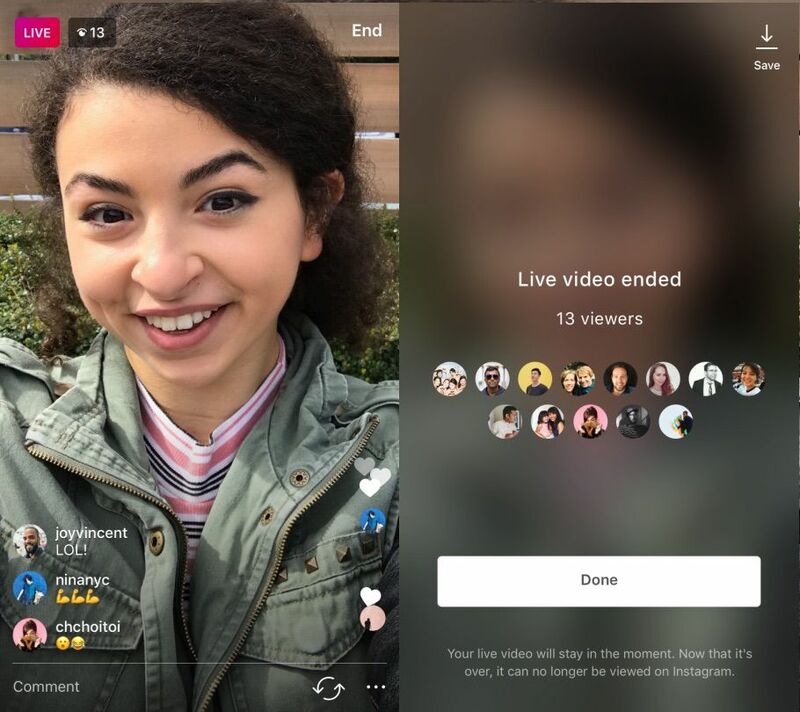 All the big social platforms currently using giving away live video production oppertunities to their users and marketers just need this oppertunity to expand. #GoLiveNow with your platform of choice. Businesses will continue to optimize their communication for mobile in the year 2017 and beyond. 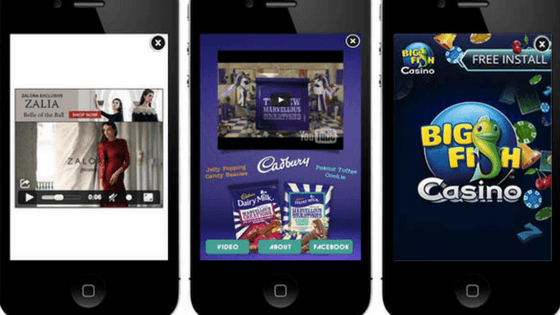 The most importantly Mobile users interact with the ads in a different way versus desktop. So Creating a campaign for mobile only customers will be tricky and awarding. 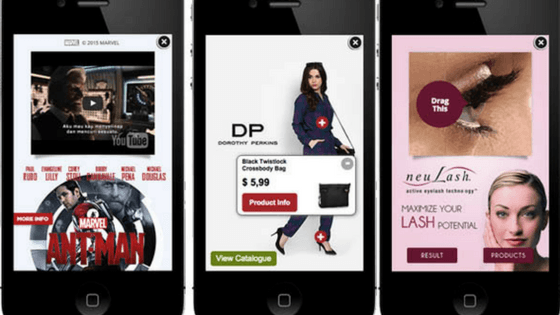 Many types of display ads are now been used targeting mobile customers. The 320 x 50 or 300×50 pixels banner ads; static or animated, usually clutter the top or bottom of the screen. 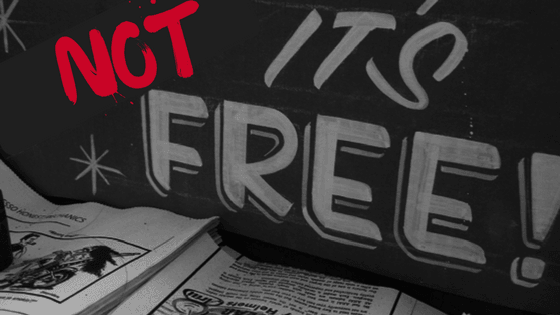 It is the most popular advertising format to date. These ads are just for examples not for promotion. Click to check. Interstitial ads are visuals that cover the entire mobile screen at the size of 320 x 480 pixels. This is the most popular size as it allows for more context, clearer call-to-action, and more creative content like videos, store locator, and many others. 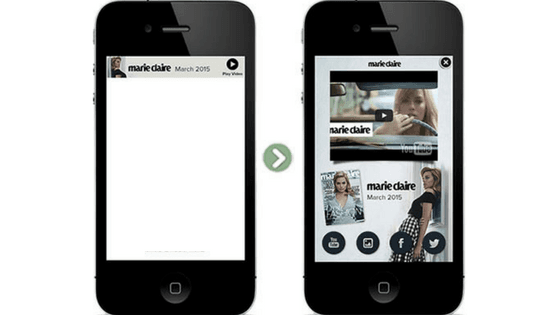 Mobile expandable ad with a combination of rich medias like video, photo gallery, and social feeds. Mobile Video Ads in different display modes for varying purposes: (1) autoplay video, (2) square framed video, and (3) verticle video with an image overlay. Mobile video play rates are higher on in-app (14.0%) compare to mobile web (8.3%). While video completion rates are slightly higher on in-app (53.3%) compare to mobile web (52.7%). Source: Mobyaffiliates, Sample of native ads that have the same look and feel like the app itself. Native ads come in various forms and sizes. 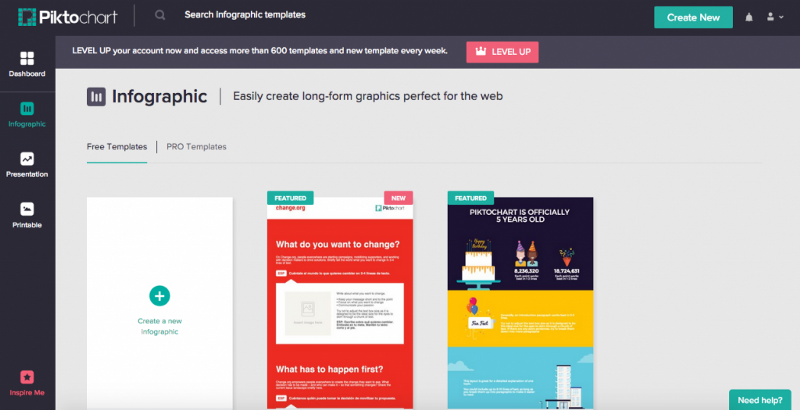 It combines advertising message with user-centric content. 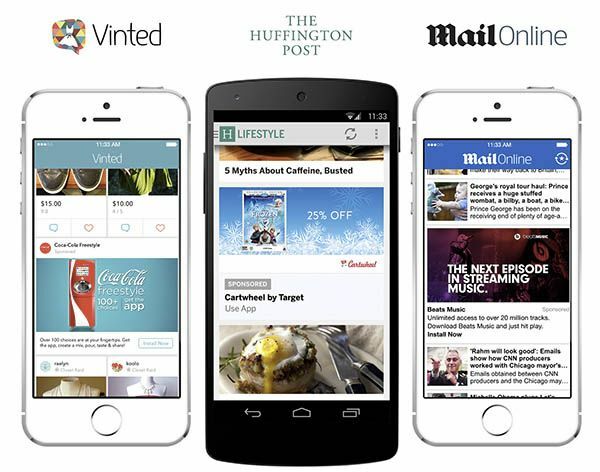 Not only ads but mobile first contents and Design affecting this market through organic reach to target audiences. For brands, the best practice with mobile is to provide a good experience with the ad, either through interactions, giving useful information, entertaining or generate a positive feeling. This will engage users and deliver a strong impact on brand recall, which increase brand affinity. 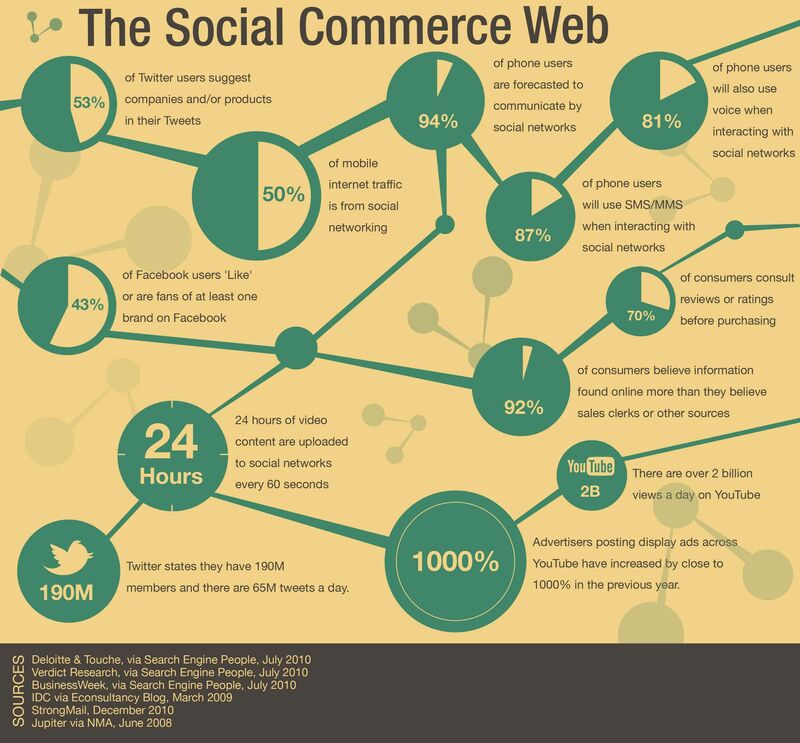 Buyers are actively researching about brands on social channels. Their next step for consumers is to skip visiting websites and buy directly from social media platforms. All the Social platforms are integrating this features. Mostly Mobile massengers like Facebook Massenger, WhatsApp, Chinese mobile Giant Wechat and more. Here in India Instamojo : a mobile payment company has implemented this Social Commerce trends by creating the opertuny to sell products and services through WhatsApp. It’s also constantly educating its customers through blogs and social media on how to sell on Whatsapp. Facebook has also allowed businesses to drive users to messenger with calls to action such as “Shop now”. Do you ever have guessed few years ago that you will trust a robot to make online or retail purchase? Haha.. It’s like a joke to elders now also, but Its the reality of the modern future bound customer experience. Time are changing and so is social media marketing trends. Businesses may start using Chatbots as an easy way to interact with customers and cross promote products or services at the same time. 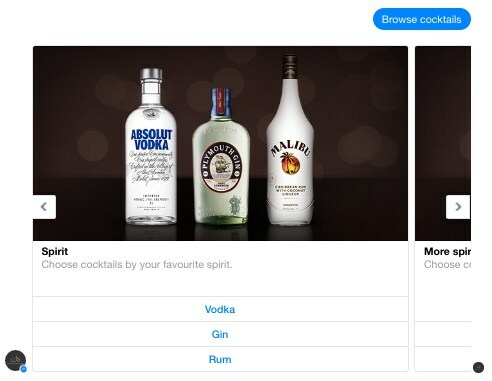 Here are the few chat bots using by big brands for Customer Aquisition, User Experience and Marketing. Every conceivable question you might ever ask. Ever. It connects to a variety of marketing systems (like HubSpot, Google Analytics and others) and databases and gives you quick, easy access to information and services. Intigrates with Massenger, Twitter and Slack. I’m using it. It’s fun and eductional indeed. Though there is a significans of automated AI- Powered bots but Bot tech is not especially advanced yet on natural language processing, there’s still a way to go. 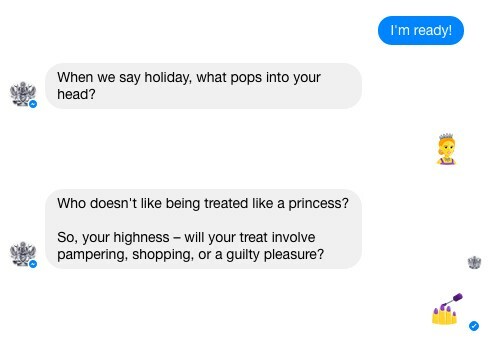 If bots are impressively conversational to start with, humans get too colloquial — and then the bot fails. Virtual reality, or VR as it is commonly known, is an exciting new technology that is changing how we think about marketing. In many cases, you’ll hear about video games that utilize the technology, but the experience that it facilitates can translate very easily to experiential marketing and events. For example, one digital marketing firm uses VR to show potential customers what a wedding would look like at various luxury venues. Instead of touring an empty room or travelling all over, customers are transported into a wedding that’s happening all around them, without leaving the room. The Whitehouse invited The Verge to do a video on Michelle Obama’s success with social media. She talks about her efforts to popularise healthy eating and exercise. The 10-minute video is a 360 video that has After Effects like animation on it to help illustrate Michelle’s point. For marketers reading this right now, if you need to explain a company’s mission or a new service, you’ll definitely want to look into this video and use it as an example. Where as One of the biggest impacts AR has made in the commercial sector is in marketing and advertising. Companies who have not yet come onboard with this trend may still be struggling to find the right application. Companies like Modiface use AR to completely map the user’s face and re-render it as a photorealistic 3D object. This allows the mirrors to accurately show the precise effects of makeup and even extended-time skin care regimens on the face. 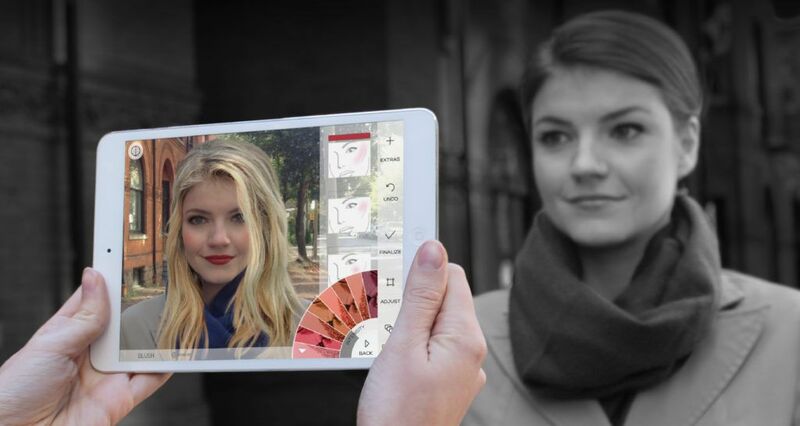 Using AR, Modiface lets buyers “try before they buy”, simulating a full application of makeup or months of skin care in the space of a moment. What an awsome way to market products using the #NextGen Technology. Showing VR is more than a one-off gimmick but something that can be core to a marketing strategy when used properly. Search engines are still the leader in helping consumers research and evaluate products or services. You, me and most of us using doing search everytime and anytiom we need somthing to know or buy. See, even while writting this article I’ve used google so so many times to gather infos that you will like. 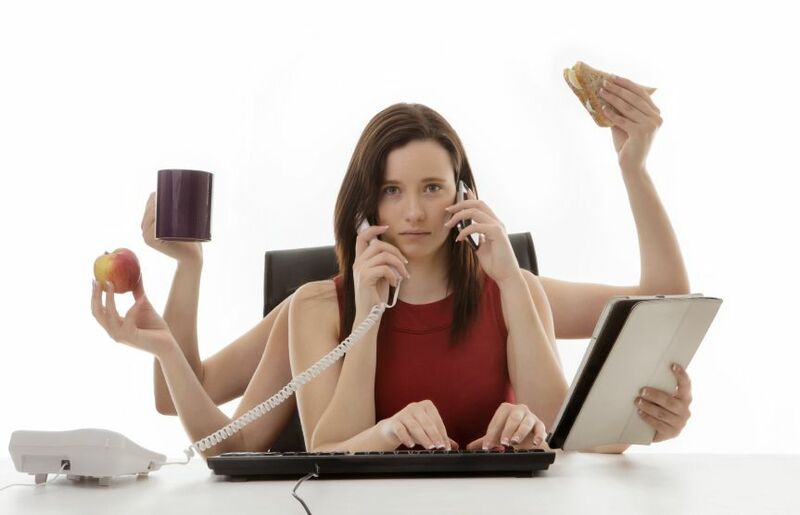 As a Social Media friendly person, I even has used many Social channels to uncover my needs. Even after setting the publish button for you I’ll hope that you get may article to read through serching social media marketing trends to follow on your best friend Google. 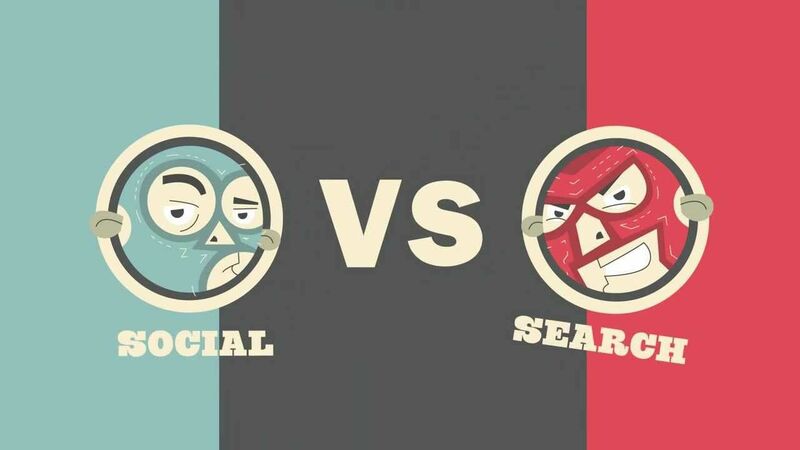 So, the Social Media will keep it’s battel with Search Engines as both of their goals are to reach a content to as many people as possible who has a need for it. Social Media Marketing trends says : It’s constantly evolving as an alternative where consumers are using it to discover about brands. It is being used as a research tool and social media will definitely catch in this year 2017 and beyond. The marketing is an ever changing process. The Social Media Marketing Trends will also keep changing. You have to keep up innovating the new routes every time and have to face the challenges. Social media does not work on a singular tips or tricks to follow. Keep innovating your ideas and generate new ways to interact and enhance your marketing techniques. Build your brand, Transform your market and Measure the Social ROI every time. 2017 and beyond will going to be an exciting year for social media marketing. Live video, chatbots and search medium are trends which can dominate the social eco-system. Now I think you are telling me to stop typing . Ok, I’m listening to you and Stoping writting. As you have read this article till the end then kepp one of my request too. Please share this piece of content with Your Friends, Coleagues and to others . I know as a social media lover you will deffinitely share it on social media. Thanks, I’m Neel Banerjee (Indranil) signing off right now, seeing you on some other article or on social platforms.